Coming Home Rescue, a 501(c)3 non-profit organization, is looking for men and women to volunteer for the dog rescue. A plethora of opportunities exist that can fit a variety of schedules. Whether it’s once a year or once a week, the group relies on the volunteers to help with everything from dog adoptions events to special events. Interested individuals wanting to learn more can contact Coming Home Rescued at 1-888-405-7221, email info@cominghomerescue.org or fill out a volunteer application online at www.cominghomerescue.org. Coming Home Rescue relies on the generous donations of the community to rescue dogs and provide them with medical care. The group needs a skilled grant writer to help with corporate donations. Note: this could be done from anywhere in the United States. Nearly every Saturday, Coming Home Rescue hosts adoption events from 11am-3pm in various counties including Morris, Passaic and Essex. Volunteers are need for one to four hours to help with set up and take down, handing out brochures, talking to potential adopters and interacting with the dogs. Coming Home Rescue has a van that transports dogs to the adoption events. Drivers are needed to transport to and from the event. These two jobs are usually split between two people. Must have valid driver’s license and be able to get dogs in and out of crates. Fosters provide a loving, caring home to a dog until they find their permanent home. 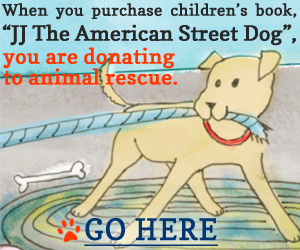 Coming Home Rescue does not have a shelter so it relies on fosters to take care of the dogs. The average length of time a dog is fostered in a home is about three weeks. Coming Home Rescue provides fosters with all the necessities including a crate, collar, an identification tag, food and toys. Fosters do not pay for any visits to the vet, medical care or medication. If enough fosters are not available, we will house dogs in one of three different boarding facilities. While the boarding staff will take care of feeding, watering and other daily needs, it’s always beneficial to have someone who will go the boarding facility to walk and exercise our dogs. Dogs also thrive when they are taken out for a spa day, hiking, park walking or for a few hours in a home. There are a number of different events that go on throughout the year including the annual Tricky Tray and Dog Halloween parade. Several volunteers are needed in this area. Coming Home Rescue needs someone in the Rockaway area that is available to apply for permits as well as individuals that would like to spearhead the efforts of special events including finding venues. We have started a new social campaign called “This Is What It Is Like To Volunteer For A Dog Rescue.” Interested individuals can follow this campaign on the following social media sites. The greatest gift you can give is the gift of time. Want to do something good for soul? Then, give yourself the gift of volunteering. When you share your time and talents with others (human or furry), you make the world a better place. If you live near the Rockaway, NJ area, we’d love for you to join our group of amazing volunteers. If you don’t live near us, consider volunteering for the local rescue in your area. Whether it’s an hour a day or an hour a month, or just a few times a year, many hands make light work. And it really does take a village to get a dog adopted. We welcome new volunteers who are interested in helping rescue homeless dogs! There are many jobs to be done such as helping at adoption events, fundraising, transporting and administrative work. Volunteering enables you to meet new people and form new friendships while working towards a common goal. It is only through a network of helping hands that our team can succeed in saving many lives. If you are interested in learning more, please fill out and submit our volunteer application. One of our volunteers will contact you shortly after it is received. You may remember that our volunteers, Mike and Rebecca, were going to have a baby. Well, they had a beautiful baby boy, Luca, in December. Mom, Dad, Baby and big fur brother Cimmie are all doing well. Here’s some pics of our future volunteer! “My dog, Frankie, means world to my husband and me. He brings us so much love and joy and completes our family. I want to help make that happen for other dogs and families,” said Coming Home Rescue volunteer, Mary. And she’s been doing just that by volunteering to help animals since 2004. These days, she spends her time assisting two organizations: Coming Home Rescue and St. Barnabas Hospice Paws for Patients program. For Coming Home Rescue, she transports dogs to and from adoption events, leads the charge with social media and advertising and supports the fundraising events. This Jill of all Trades has enlisted the help of a special friend to aid in her endeavors. Her dog, Frankie, also enjoys giving back to his community. One of the things that Mary enjoys best about being part of the group is the time she spends with others that are also passionate about finding good homes for rescue dogs. And it’s that sense of family and a close-knit group that makes Coming Home Rescue so special. While other rescue groups can be quite large and unwieldy, where a volunteer might feel lost, Coming Home Rescue is a bit like the television show “Cheers” where everybody knows your name. The group will get together socially as they did this summer to celebrate the organization’s third anniversary with an outdoor BBQ and everyone is gearing up for a holiday party and gift exchange next week. It takes a village to help rescue dogs and volunteers are needed in many capacities including: fostering, attending dog adoption events, fundraising, administrative duties, taking dogs to and from vet appointments, hanging posters and much more. For those interested in volunteering, Mary suggests stopping by an adoption event (which happens nearly every weekend in Morris and Essex County) to talk to members of the group. In her spare time, Mary also has a passion for getting behind a camera. “I love photography and taking photos of anything and everything – especially my dog!” (You can see a sample of her work throughout this blog post). Do you enjoy taking pictures or editing videos? Beautiful photos that capture a dog’s personality go along way in attracting potential adopters. And seeing a dog in action (fetching a ball, enjoying the company of other dogs or playing with kids) is a way that a volunteer with those skills could help the group. Are you ready to help a dog find their forever home? Fill out a volunteer application online or contact us at info@cominghomerescue.org or 1-888-405-7221.